Just about everyone is interested in saving money anywhere they can these days. If your home is ready for new vinyl siding, you may be considering a DIY project. Vinyl siding can be a very easy material to work with and doing your own installation is a good way to get some fresh air and exercise while saving a little money on labor. If you've never installed vinyl siding before, there's a wealth of available resources to help you get started. Because VinylSidingZone.com offers reputable information on siding installation methods, we have been selected as one of the experts participating with home improvement guru, Bob Vila, on a Twitter chat on Thursday, June 30, 2011 at 10 a.m Pacific/1 p.m. Eastern time. The chat should be full of helpful vinyl siding tips, including staining methods and general home renovation subjects. You can follow the chat by going to http://twitter.com/#!/vinylsidingzone and http://twitter.com/#!/bobvila and hit +Follow for each. To join the chat use the Twitter hashtag #GetReadyThurs. 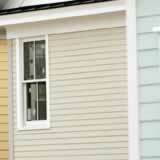 Installing your own siding can save you the costs a siding contractor might charge for their crews' labor. Keep in mind, however, that most siding contractors have years of experience and know how to keep their costs under control.